White Whipped Cocoa & Candy Pearls - Perfectly chocolatey, deliciously rich and lusciously creamy. This heavenly hot cocoa topped with clouds of white chocolate whipped cream and sugar pearls was thoughtfully created to make chilly days much more enjoyable. 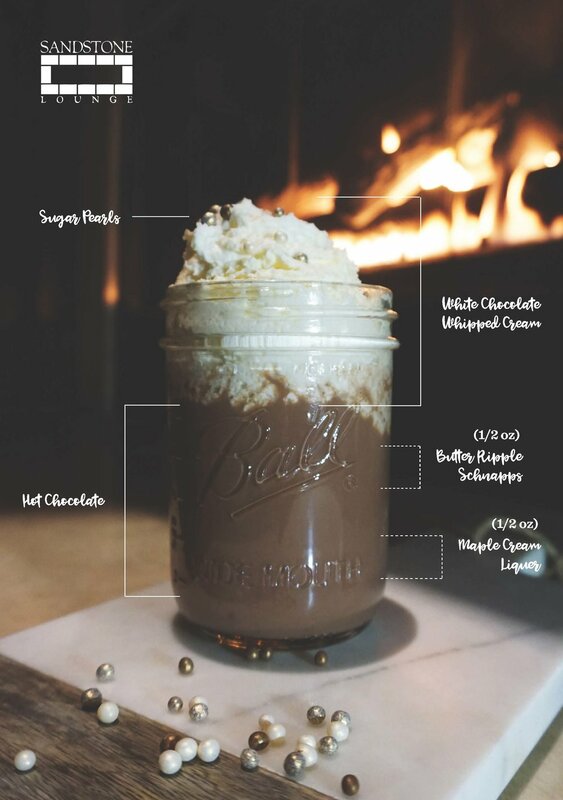 White chocolate whipped cream, rich cocoa, sparkling sugar pearls, and a splash of butter ripple schnapps and maple cream liqueur make for this next level adults-only hot chocolate. This recipe was specially concocted for grown ups searching for the quintessential comfort that a good cup of hot cocoa brings — but with a kick.